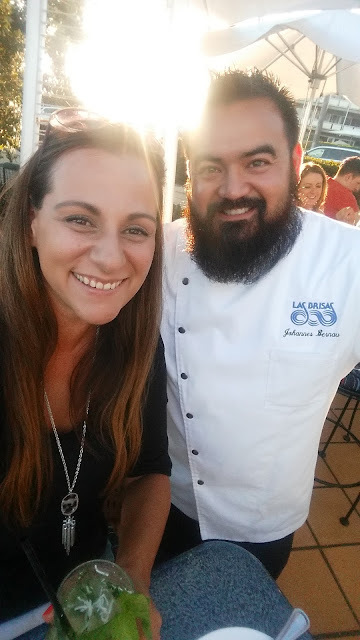 Chef Johannes brings familiar flavors with fresh twists to Las Brisas Laguna Beach new Patio Menu. 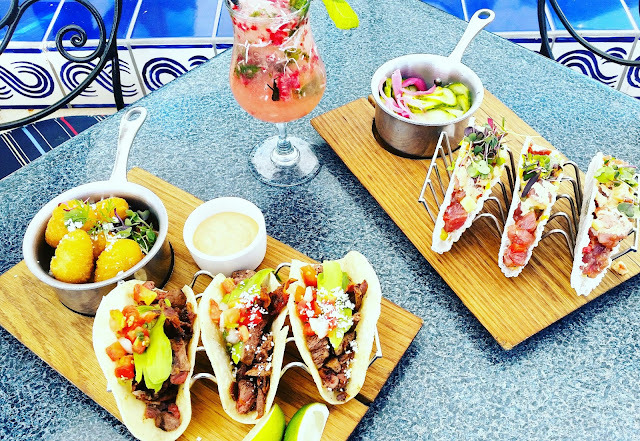 With views of the ocean and the sand steps away, Las Brisas the perfect dining location anytime of day. 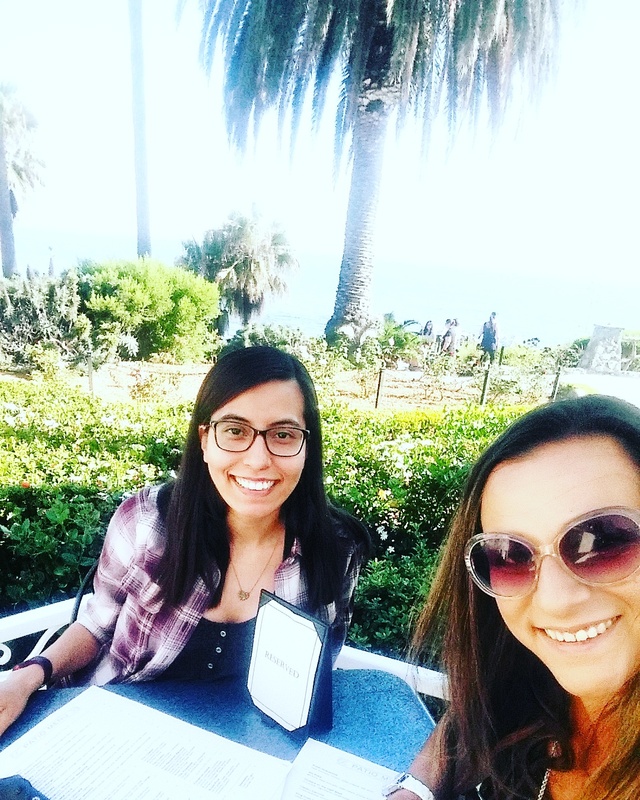 With the most perfect seat on the patio, we were able to taste the new patio menu items and I cannot decide what my favorite is...but I definitely want to go back for more and take the hubs for a date too! Chef has created some amazing eats that feature some beautiful flavors that pair well together with his creative twists. 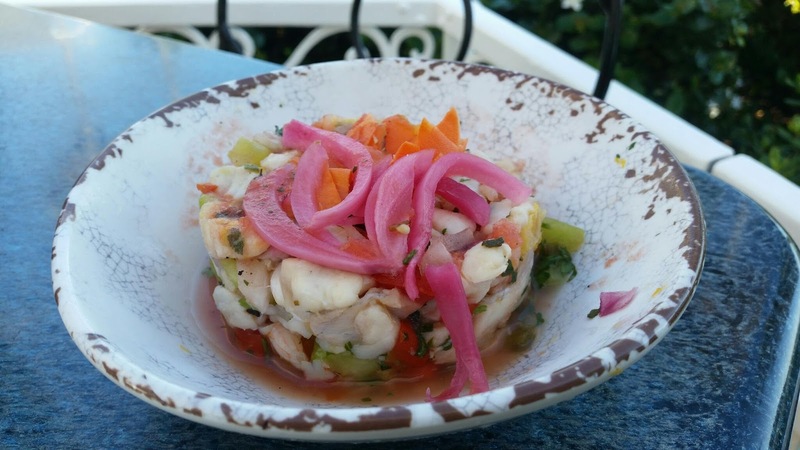 My sister-in-law and I would suggest that everyone should start out with the fresh prawn and sea-bass ceviche! I will say it it is one of the best I've ever had....and I make a great one myself. The freshness of the ingredients is on point to the ocean view while you dine. With fresh orange that bring out the flavors of the ceviche, the cucumber and cilantro tie it all together. If you are looking for a veggie as a started, the grilled artichoke, wow that is not only grilled to perfection but the aioli to dip it in... I could have spooned it up, it was so good. The Ahi tacos in crunchy fresh rice paper taco shells are delish. Tuna is soft and the spice in the sauce is perfect. I could have eaten so many of these tasty tacos! I could not get enough of the steak tacos and by steak I mean Prime Cut tender Filet Mignon... grilled to perfection. Topped with maple chile bacon and fresh pico de gallo, along with cotija cheese and fresh avocado, the Laguna Beach So Cal feel is with in each bite at Las Brisas. I was so stuffed but who can say no to a torta? But wait... not just any torta but a Chef Johannes Torta - what does that mean? Oh it means that it is nothing short of amazing! 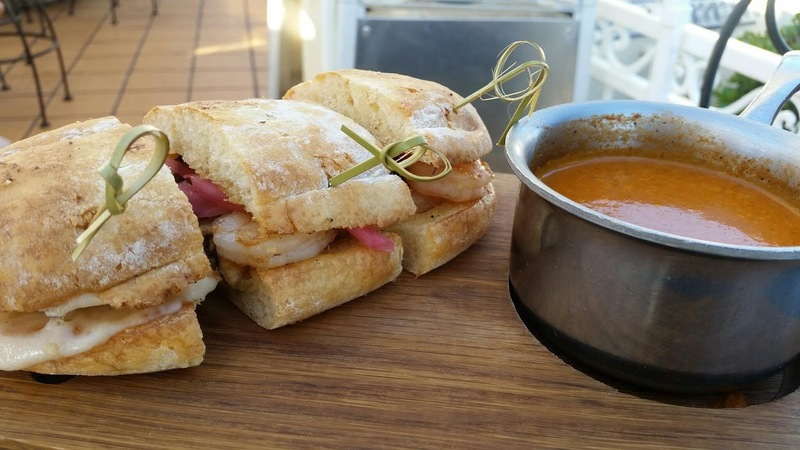 Chef likes to call it the "Drowning Shrimp Torta" because it is loaded and comes with a cup of Chile Tomato soup that I tried to just dip it into but later wanted to just drink it up and chase the Torta down with it! I mean it is that yummy. But, Chef said he may or may not have, but probably has, wanted to do the same... hehe! The bartenders have come up alongside Chef Johannes just a very creative and tasty drink menu. Handcrafted with fresh ingredients and quality liquor nothing is cut short at Las Brisas. 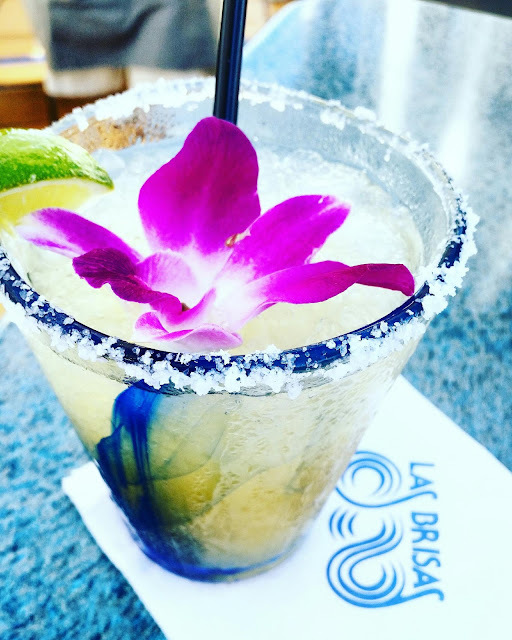 I really love that the specialty cocktails at Las Brisas Laguna Beach totally remind me and are named after surrounding cities or points of interest that bring a nostalgic feeling back into the mix for me. My favorite is the "Crystal Cove" with the edible Orchid - so pretty and tasty too! 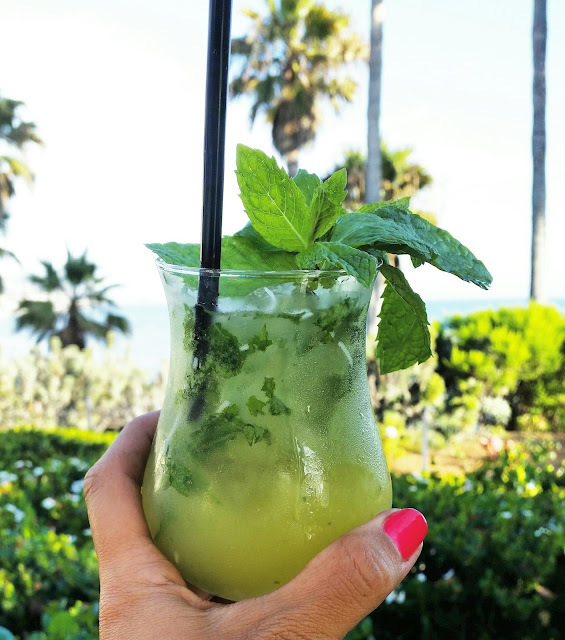 The Fresh Mint Mojito as a close second. Will be back for more of these two as I look out out to the most beautiful sunsets in OC. As if Chef Johannes didn't put enough effort and creativity into the menu itself he saved a little bit of his fun kid spirit for his desserts. 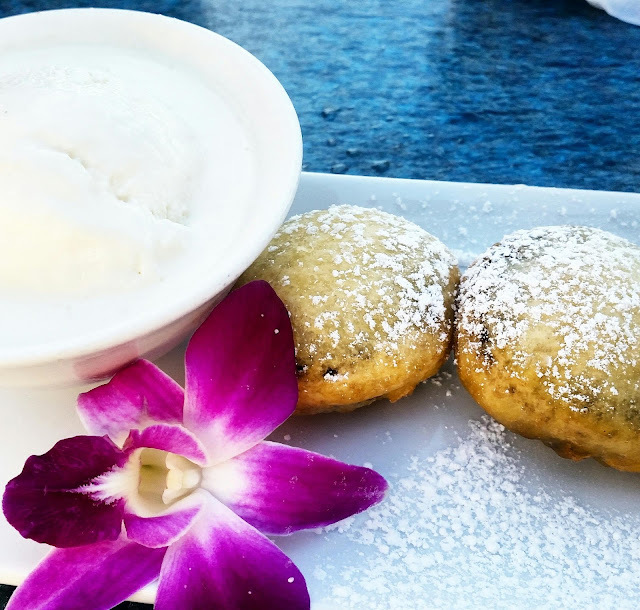 We tried his Deep Fried Oreos! I know!! They were to die for... seriously I expected them to be heavy since they are deep fried but wow, the batter was light yet crunchy and the oreo center was so good. Totally brought me back to my youth visiting the fair but left me with a not as heavy feeling in my tummy. A Win Win. When we talked I loved that Chef Johannes made it a point to tell me that he is a big kid at heart that loves to create dishes that anyone would like to eat but maybe would remind them of something in their youth. That Personal Touch from the chef really means something to the one consuming it because you know that they put all that passion and love into what they are doing and for some reason it makes it that much more amazing to enjoy eating. 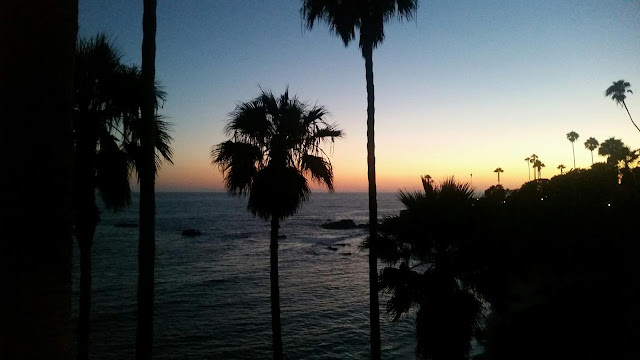 Have you dined at Las Brisas Laguna Beach? What is your favorite? I had not been since early college and I am loving the new menu with the old views! I hope you get to dine and enjoy all the passion Chef Johannes has put in the new plates.